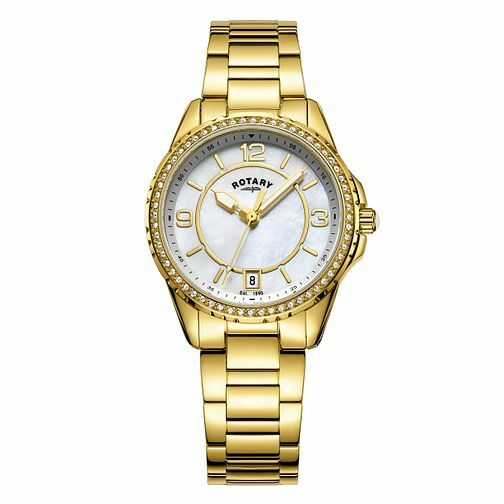 Rotary Ladies' gold plated stainless steel bracelet watch, 30mm case and Quartz movement. Featuring a mother of pearl Arabic dial and stone set bezel. Waterproof and Rotary Lifetime guarantee. Rotary Ladies' Gold Plated Bracelet Watch is rated 5.0 out of 5 by 1. Rated 5 out of 5 by Anonymous from Great watch I love this brand and I always come back for these watches. Great design and fantastic look.